Nicholas Hytner, a celebrated director, shares his memories from his 12 years as the head of one of the world’s most famous theater companies. Balancing Acts, Hytner’s shrewd and engaging memoir of his 12 years at the National, makes it clear that from the moment he took charge in 2003 his mission was to shake up the traditional repertory and make it as broadly popular as a blockbuster musical ... All were the results of a collaborative creative process made palpable in Hytner’s vivid account. He has a particularly keen appreciation of scenic designers’ vital contributions in shaping physical space to illuminate a play’s themes ...also acknowledges the directors who gave the National a scope beyond his own tastes... The key to making that connection is the actor, and many of the best pages in his memoir contain Hytner’s perceptive and appreciative sketches of English masters... 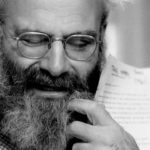 This generous, pragmatic spirit is what makes Balancing Acts not just a colorful theatrical memoir but a rousing statement of theatrical faith. In his new memoir, Nicholas Hytner, the former artistic director of the National Theater in London, recalls the organization’s 50th-anniversary celebration in 2013 ... It is this issue of engagement, and its absence, that bedevils too many stretches of Balancing Acts: Behind the Scenes at London’s National Theatre ... Hytner abdicates his responsibilities as a reporter whenever the news is less than laudatory. He is a genius at taking himself down but is loath to cast that gimlet eye elsewhere ...good news is that in its last third, Balancing Acts loses some balance when Hytner locates his narrative nerve ... Where was this delectable creature 200 pages ago? Finally, he engages. Throughout the book, Hytner takes pains, periodically, to explain his natural reticence. 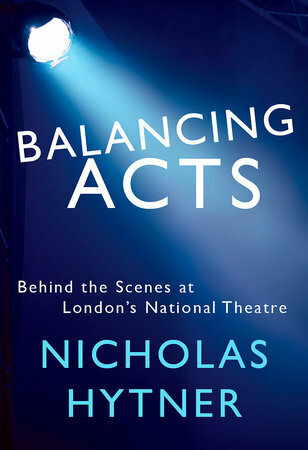 ...many anecdotes that pepper the pages of Nicholas Hytner’s hugely entertaining memoir...subtly revealing, even-handed approach is typical of the book, which, as its title suggests, describes the many balancing acts entailed in running the UK’s flagship theatre. It’s also characteristic of Hytner’s astutely pitched style ...balances wit with intellectual gravitas, gossip with self-deprecation and mischief with serious insight, but rarely discloses his innermost thoughts and emotions ...a book that balances revelation with caution ...a palpable sense of the work and camaraderie that drives the creation of drama. Hytner has a writer’s instinct for detail, drawing you into the room with luminaries... He’s at his precise best on Shakespeare (brilliantly incisive and revealing on Hamlet) and on Alan Bennett. What did you think of Balancing Acts: Behind the Scenes at London's National Theatre?